Very enjoyable characters and great setting. 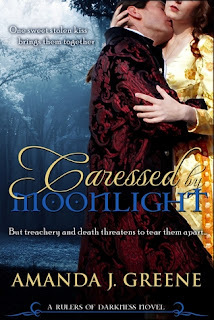 If your one for a Regency vampire, you need to give this one a try. This is a good flirty read. My problems that are minor. I felt like the author could have gone into the detail more on what was going on around them and about them. I also felt lost or confused during the first chapters on the timing. This is a new author that will get better in these minor issues as she grows in writing. I would recommend this one for anyone to try for yourself . I read this awhile back (I love this new cover! )and absolutely loved it. I don't do Regencyfor the most part, but still enjoyed it. I loved Dorian.